Step 1: Follow the path Shipment -> Cancel Shipment. Step 2: Follow the path Shipment>Cancel Shipment. Step 3: Check the AWB Number that you want to cancel. Step 4: Check on ‘Select all’ to cancel all the Items. Step 5: Click on the button ‘Cancel Shipment’ to cancel shipment for selected items. 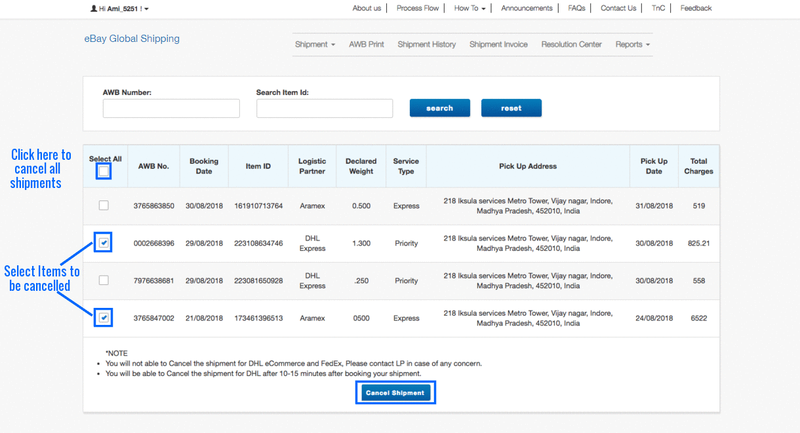 Step 6: Click on the button 'Cancel Shipment' to cancel shipment for selected items.